Dip and Spin made wonder pictures. Make awesome art with the Neon Pink Fantastic Spinner. When you drip the paint, it splashes the colour in all directions, making different patterns on each spin. Use all the colours, or just one.,Either way, make spin-tacular works of art. 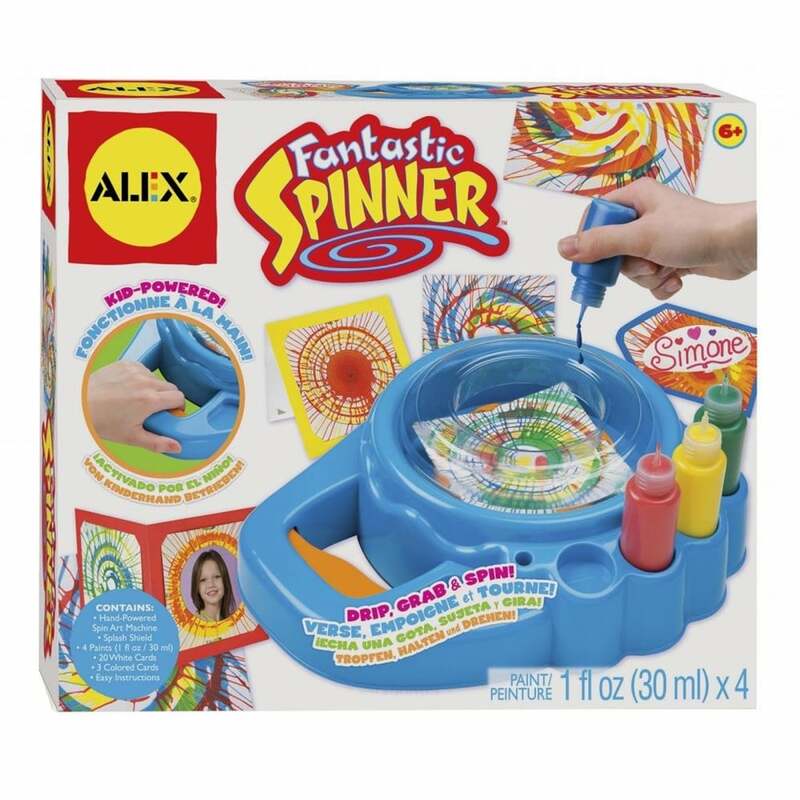 Include: 4 bottles of paint, 20 spin paper cards, 3 coloured cards, splash shield and easy to follow instructions included.